This is one of the most important games in the Zelda franchise, because of all the staples that it introduces to the franchise. For the first time, you’ve got Kakariko Village, interacting worlds/dimensions, Master Sword, sages, the hookshot, bottles, reviving fairies, arrow ammo system, and the spin attack. 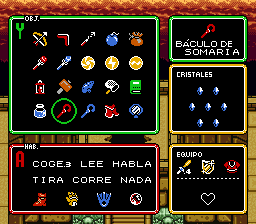 Elements of the first two games were also refined in this one, such as the heart container system and magic meter. This game plays a lot like the original Zelda. You can use a subitem when you need to, just like in the original. You can use bombs and arrows. You can get a magic rod. A boomerang. A lot of the stuff is here. 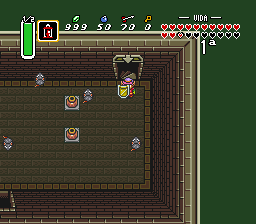 The magic meter from Zelda II is here, and you can also learn some magic spells, although the spell system is actually less expansive than in Zelda II. And then it introduces new elements and items, such as invincibility and the spin attack. For the first time ever, you can move in eight directions, which is wonderful. There’s very little to dislike here. Unfortunately, this is where the franchise starts to get a closed world and linearity, although it’s nowhere near as bad as Skyward Sword. The graphics are bit strange. For example, Link has blond hair in all the artwork, yet he has pink hair in-game. Apparently the devs couldn’t fit yellow into his color palette, although looking through it in a palette viewer suggests otherwise. Aside from that oversight, and Link’s ambidextrousness, you can tell what everything is. The sound for this game is great. Sound effects are pretty varied, although there’s usually an “echo” about them. The soundtrack for this game is very good; you’ll probably being humming the Hyrule and Death Mountain themes. 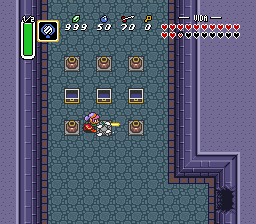 This game is the one that sets up all future games for the grand, multi-timeline epic that encompasses the Zelda franchise. The franchise bad guy gets his backstory hinted at for the first time ever, plot twists abound, and a supporting cast appears. I recommend this game to anyone who likes adventure games. Actually, anyone would find something to like in this game. It’s widely considered one of the best games in the series and contains a lot of that Zelda charm. to the testers: retrocollector, 4LUFLiNT, sorcek, HBDL, 1985a, crying_undeath. 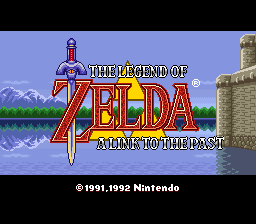 Special thanks to josete2k to help me with the zelda hacks from zeldix. elotrolado forums to support us.